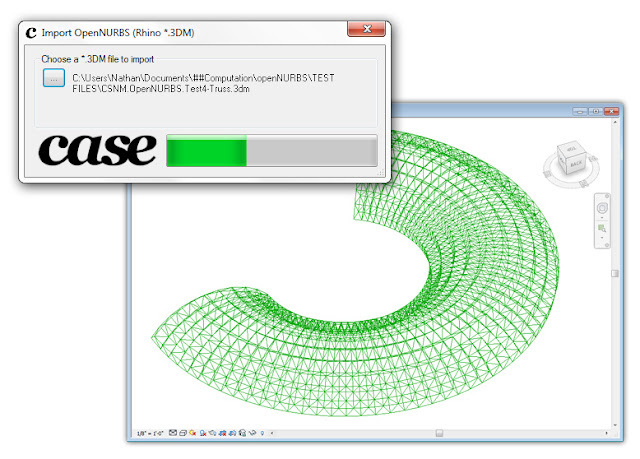 Hot off the release of the CASE Import OpenNURBS Add-in for Revit, I have created some 3DM sample files you can use to test drive the tool. I have also put together a DesignReform tutorial to get you started with the Add-In! 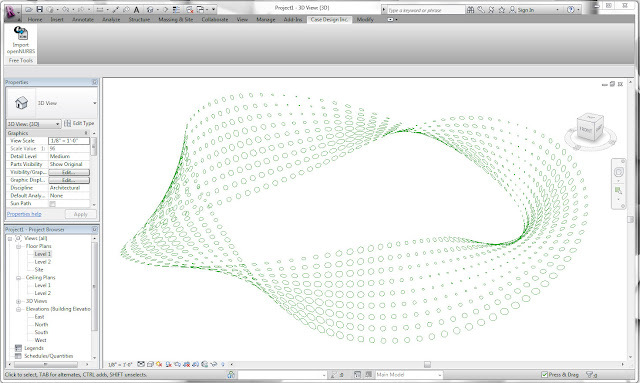 Sample Rhino 3DM files: The sample files contain all kinds of curve geometry which you can import into the Revit environment as model curves. 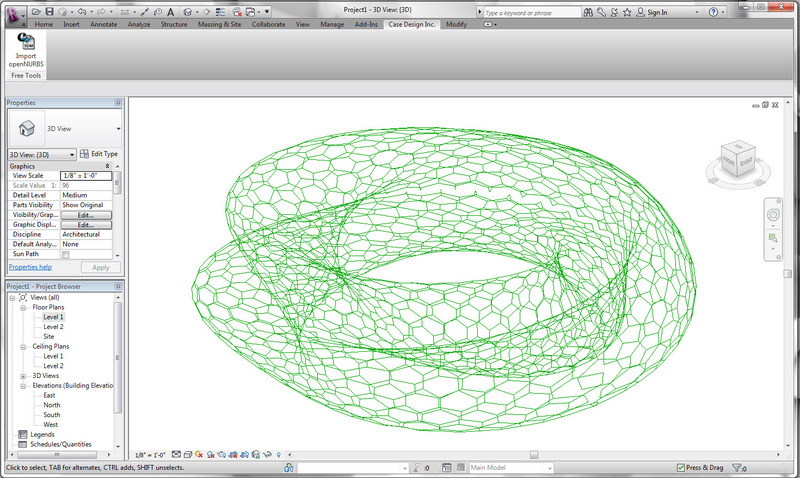 DesignReform Tutorial: A short tutorial for getting started with the Import OpenNURBS Add-In. Here are some shots of the tool being put to work...! I am happy to announce that my first CASE Free Revit Add-In is available for download. 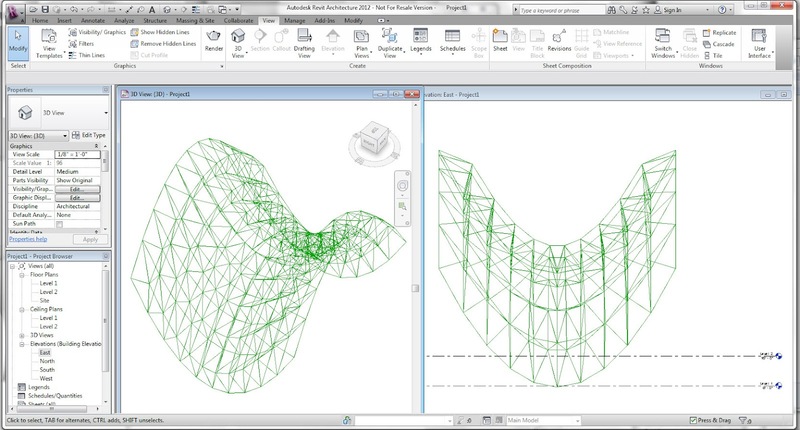 The new Add-In allows Revit to read the OpenNURBS (Rhino *.3dm) file format and import curves into the Revit Project environment as native model lines. Future functionality will include support for the family environment and form creation... for now, feel free to dig in and let us know what you think! 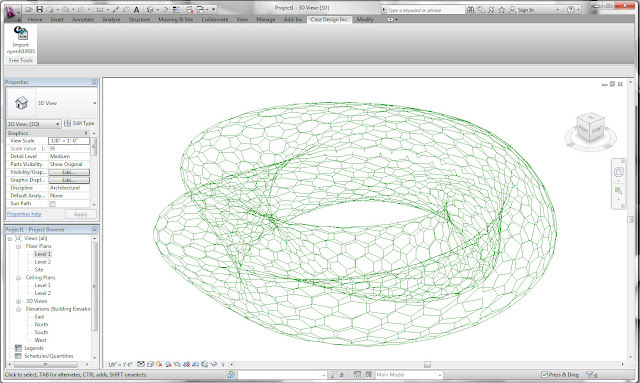 Get the Import OpenNURBS Revit Add-In here....!!!! You'll need to make sure you have the new CASE Add-In manager... check out Don Rudder's blog for more info! Be sure to head on over to DesignReform and check out a new tutorial for Slingshot! focused on the 'Pack' and 'Unpack' plug-ins. The tools are still in an early stage, but still useful for enabling geometry data exchange between Grasshopper users via SQLite. I will be doing more DesignReform videos in the near future for Slingshot and LunchBox... so be sure to check back! For those that missed my Vasari Talk about scripting with Python, you can now view the video on YouTube! I have a distinct memory from February 2009 of coming across an article on Architect as part of my usual pre-work morning reading. It featured three guys who were dead set on transforming the AEC world by affecting "processes rather than end products" with a special emphasis on, of course, the latest digital tools and information technologies. Actually, what caught my attention about this article was not the provocative business model.... nor the cool screen captures of their advanced processes being deployed on projects at SHoP, DS+R, and Grimshaw... what caught my attention was the context in which this new model of practice emerged. 2009 was a moment in time directly after our industry (and every industry for that matter) was experiencing the initial shock of the global financial crisis... and yet here was a group that was driven to invest themselves in a new service model for an industry that was in a great-recession-driven tail spin. My first thought: "These guys are either geniuses... or out of their bloody minds!" Flash forward to March 2012... and the CASE team had become a recognized force for innovation in the AEC world by adding value to the design and delivery process with proven leadership in the latest and greatest digital processes. ....then an e-mail appeared in my inbox from 'that Design Reform guy' with a proposition: "I'd love to talk to you about the potential of working with a company like CASE." What could I say? There was surprisingly very little hesitation. The answer that came into my head was immediate even before knowing the details for what Dave, Steve, and Fed had in mind. It would be a few months before finally ironing everything out, but the decision to say "YES!" to what would amount to being a significant career change was clear from the start. .... and I am more than thrilled to be a part of THAT.